We have always encouraged a step-care model for treating our patients in pain. Start with the least expensive, least invasive procedures before trying the more expensive, complicated, and invasive procedures. So when you first experience pain, your primary care physician, or PCP, would be your first stop. 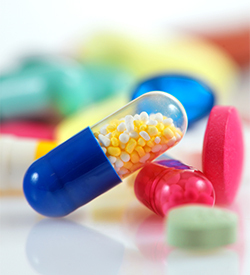 Use non-steroidal anti-inflammatory medications (NSAIDs) and acetaminophen (Tylenol) as first line pain medication. Referral from primary care physicians (PCPs) to specialists for back pain was not recommended. Referral to physical therapists was recommended. Use of imaging, such as MRI, CT scan, or x-ray, were not recommended. This may be easier said than done. Will my back pain go away? Although Low Back Pain (LBP) is thought to affect around 80% of individuals, it is also thought to be self limited and get better quickly (within weeks). Studies of patient populations however suggest that it is actually a more serious problem. Although most patients who experience back pain do not see a doctor, 60-80% of those that do are still reporting pain one year later and in those whose pain has disappeared, 20% will have a recurrence within months. A large number of patients (40-50%) will not see a medical physician for their pain preferring to receive alternative treatment, in large part due to the inability of our current model to help many of the patients suffering with lower back pain and neck pain. If there were a test to determine who was at risk not to have their pain eliminated and to be become a chronic sufferer, this could alert the clinician to employ more than one approach to ease the pain. Published predictive studies are too different to compare outcomes although the following factors are consistently found to predict poor outcome in the reviewed studies: older age, poor general health, increased psychological or psychosocial stress, poor relations with colleagues, physically heavy work, worse baseline functional disability, sciatica, and the presence of compensation. 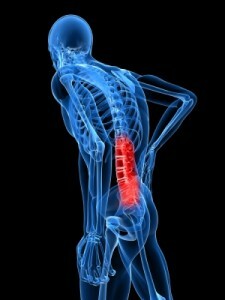 Complimentary and alternative medicine (CAM) is used by 40-60% of patients in the US to deal with their back pain . The mechanism for effectiveness of the various CAM approaches deserves study as does the role of muscles in low back pain. The absence of a standardized routine examination of muscles’ strength, flexibility, and tenderness in patients with back pain ignores an important variable especially in light of the fact that the most common diagnosis for acute back pain is Non-specific Low Back Pain, referring to sprains and strains of muscles and other soft tissue. The bottom line is that our current system of care for lower back pain is sorely in need of review and revision. Have you ever noticed that pain in one area took your attention away from pain in another spot? For example, you were feeling back pain and then jammed your toe, and your back pain diminished or went away. As the toe pain reduced, the back pain reappeared. Conditioned Pain Modulation (CPM), formerly known as DNIC (diffuse noxious inhibitory control), is the phenomenon where pain in one area inhibits pain in a different area of the body. Another example is seen in patients who have pain that is noticeably worse on one side of the body than the other. Once pain is treated on their “bad” side, their “good” side seems to get much worse. In this case, pain on the “good” side was always present, but becomes more noticeable once the worst pain was addressed. In fibromyalgia syndrome patients, there appears to be impaired CPM. [i] CPM is one reason why understanding a patient’s pain complaint is challenging. [i] Davis, Mellar P. “The Clinical Importance of Conditioning Pain Modulation: A Review and Clinical Implications.” Research and Development of Opioid-Related Ligands (2013): n. pag. Print. 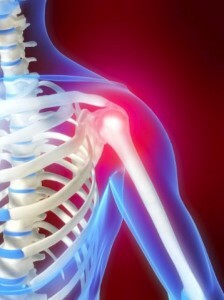 A study in Clinical Orthopaedics & Related Research [468(10):2678-89], reports that over time the function of the shoulder deteriorates in a significant number of patients who underwent rotator cuff repair, despite continued pain relief in many of the same patients. The study found that even if greater function was achieved in the months directly following surgery, both strength and range of motion decreased to less than preoperative values even though pain was alleviated. I treated a 60 year old man with a diagnosis of rotator cuff tear. Because of severe shoulder pain and restriction of movement in his shoulder, he was unable to brush his teeth, hold utensils to eat, or comb his hair. He was scheduled for surgery to repair his rotator cuff. He was found on examination to have six muscles in his shoulder girdle that were causing his pain. These muscles were injected over the course of 3 weeks and following each injection a physical therapy protocol was used that restored his range of motion. His pain was eliminated. His surgery was cancelled. He remained pain free for the two years that he was followed. In view of the findings reported in the paper and my results with this patient and others diagnosed with shoulder pain from rotator cuff tear or impingement syndrome, it is important to evaluate muscles as a source of pain and function impairment prior to performing surgical repair. A recent study of office workers who complained of weekly headaches examined the effect of a simple resistance exercise program for the neck and shoulders, and found an approximately 50% reduction in headache frequency. 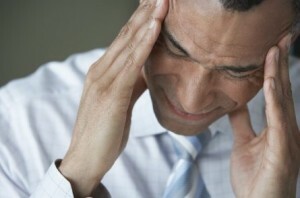 Headaches are the most commonly reported pain problem. If brief exercise can have such a dramatic effect on headache frequency, it should be considered as a standard intervention for all office workers who appear to have muscle tension type headaches. One possible reason brief exercise is so effective is that it may help relax tense muscles which can become stiff from repetitive strain, for example bending your head and neck over a desk for hours at a time. Simply performing an action to address headaches on a daily basis may also make you more aware of the circumstances surrounding a headache episode. Since headaches are frequently brought on with emotional stress, being more aware of and addressing stress can reduce headache frequency. Even though self-awareness can help, knowing what you are thinking and feeling is not as easy to achieve as one might imagine. Many of my patients report becoming aware of unsettling feelings and sometimes divulge situations that have been troubling to them while doing their prescribed exercises. There are many thoughts and feelings that are upsetting for us to acknowledge. It may be difficult to admit that you are angry or resentful towards someone you love or someone on whom you depend for your livelihood. We may be uncomfortable or ashamed to admit to feelings of fear or envy. Repressing or denying thoughts and feelings can lead to increases in muscle tension with resultant headaches, and to symptoms of anxiety. If it’s all about repressed feelings why don’t all the headaches or anxiety symptoms disappear when we become more conscious? H.L. Menken said that “there is always a simple solution for a complex problem, and it is usually wrong.” Exercise addresses a different reason for your neck pain than struggling with uncomfortable emotions. When it comes to persistent pain problems, a multi-faceted approach which addresses multiple sources of discomfort may provide the most relief. It was understood that belief systems about the patients’ pain such as –“having pain means I am harming myself “ resulting in the avoidance of activities that produce discomfort and eventually eliminating many important activities in the patients life with resulting deconditioning, depression, pain drug use, dollars spent and ultimately disability. Pain becomes the focus of life and the more it is pondered the worse it feels. Multi-disciplinary teams composed of a pain management physician, psychiatrist, psychologist, social worker, occupational therapist, physical therapist and pain team nurses provide weeks of intensive full day treatment programs with remarkable success in restoring function to patients disabled with persistent pain. There is an organization called Cochrane Collaborations that reviews various medical treatments to determine if they have been adequately studied and the results of the studies indicate that they are effective, ineffective or undetermined. Almost all of the treatments for back pain have been found to be neither ineffective or effective, meaning the evidence is out and more and better studies are needed- but multi-disciplinary pain centers have consistently been found to be effective for the treatment of chronic back pain. In the early 1990s there were more than a hundred pain centers certified by the Commission on Accreditation of Rehabilitation Facilities and despite the success of multi-disciplinary programs , close to half of them are no longer operating. One reason for the closing of many centers was the pull back by insurance carriers for payments for non-interventional pain treatment services. Doing a procedure seemed to be considered more valid and worthy of payment than a non-invasive service even if it was effective in reducing pain, improving function and lowering future cost of care. Today some of the best pain centers cannot survive by depending on insurance payments and are forced to charge their patients large out of pocket sums in order to remain in operation. Some of these insurance carriers that will not pay for comprehensive pain centers will routinely pay for procedures of questionable effectiveness. Although many patients could be helped with one or both of these approaches, many patients in need of physical therapy and psychological services that were integrated with the overall treatment plan, would no longer receive optimal treatment. Reimbursement would be the driver of care rather than the needs of the patient. Centers could not stay in business and provide care that insurance companies would not cover. The shift toward procedures became an accepted standard of care and new organizations of pain physicians were formed whose membership focused predominantly on invasive procedures. The cost of services for the treatment of back and neck pain, now with many less comprehensive multi-disciplinary centers, has nonetheless continued to rise at an alarming rate . Some of the increased cost is because of more numerous and complicated surgeries . The bottom line is that we are spending more money each year on neck and back pain in the US, approximately the same as we spend on Cancer, and not getting good results. Back pain can be found in the medical literature as far back as 1500 B.C. in Egypt. Through the ages various explanations have been offered to explain the cause and how to treat it. But it wasn’t until the 19th century that the spine and the nervous system were seen as the fundamental source of back pain. The idea that the cause of back pain was some injury or irritation in the bones and nerves of the spine was adopted by the medical community and this notion has persisted up to the present. With this in mind, recommending bed rest made sense-so bed rest became a standard treatment through most of the 20th century. Some savvy physicians recommended staying active, but their opinion was drowned out by the bed rest proponents. If you have an injury it can take weeks to heal, and therefore it was common to have patients with back pain lie in bed, often in a hospital, sometimes without even getting up to go to the bathroom, for two or more weeks. It was only at the end of the 20th century, that the medical community recognized two facts:1. Back pain was usually not from any obvious injury. 2. Prolonged bed rest was not only not helpful, it was damaging. So patients with typical back pain began to be encouraged to remain active and to return to work as quickly as possible. When x-rays were introduced, doctors could see the joints in the spine and the pelvis, and began to suggest that this is where the pain originated. New phrases, such as “my sacroiliac is out” and I have a “bout of lumbago”, creeped into our conversations. In the 1920s and 30s a variety of new creative surgeries were tried including fusing the sacroiliac joint, fusing the joint between the lumbar section of the spine and the sacrum and cutting out parts of the spinal column, all of which didn’t solve the problem and rapidly became unpopular. Some bad ideas with dreadful consequences don’t go away easily, and some physicians have reintroduced sacroiliac fusion. The joints that don’t look pretty on x-ray or now with MRI/CT scanning, although not undergoing surgery, still remain as targets for injections in pain centers. The first report of spine surgery to remove a herniated disc to treat pain radiating down the leg (sciatica) was in 1934 and in 1935 the same operation was suggested as a treatment for back pain as well. The disc pressing on a nerve to cause pain shooting down the leg and the surgery to remove the part of the disc and bone in the spine to relieve the pressure on the nerve made sense and surgery for sciatica sometimes is indicated and successful. But looking to the disc as the cause of back without leg pain proved to be the foundation of the mistaken notion that the disc was the fundamental cause of most low back pain. This concept has led to needless surgeries, exorbitant costs and tragic suffering. Over the next twenty years surgery on the disc became one of the most common operations done by neurosurgeons. The disc was not the reason for most back pain and many of the surgeries that were done were failures with patients experiencing no change or even worse back pain. The number of unsuccessful back surgeries was so high that a new diagnosis was created, something unique in all of medicine, “Failed Back Surgery Syndrome” , also known as “Post-laminectomy Syndrome”, referring to the part of the vertebra, the lamina, that is cut away to remove pressure from the disc. The surgeon was no longer the unquestioned authority as the answer to back pain. Many clinicians, including orthopedic and neurosurgeons, recognized that the problem of back pain was more complex than a problem in the discs and that many factors including emotions, job issues and physical conditioning, all contributed to the experience of back pain. In the 1970s a new movement to understand pain in general, with back pain as a major focus, was spawned through the efforts of John Bonica, M.D. and his colleagues. More on Pain Treatment Centers next time. The nature of the pain is different than the pain for which the opioid was originally prescribed. Often, pain becomes more diffuse, or widespread. The location of the pain is different than the pain for which the opioid was originally prescribed, and often extends to more locations. The quality of the pain is different than the original pain. For example, the patient may experience allodynia, a condition in which normal sensation, such as touch, becomes painful. Whereas patients who have developed opioid tolerance may have transient relief from additional opioids, patients with OIH will have an increase in pain from additional opioids. Theoretical explanations for OIH include the roles of microglia and mast cells. Though the mechanism by which this occurs isn’t fully understood yet, use of ultra low-dose Naltrexone has been reported to be effective in decreasing opioid side effects and facilitating reductions in dose. It is clear that long-term maintenance on opioids can do more harm than good for some patients. Therefore, it may be wise to periodically attempt to decrease the amount of opioids to see if this either results in no increase or an actual decrease in pain. Lee, Marion, Sanford Silverman, Hans Hansen, Vikram Patel, and Laxmaiah Manchikanti. “A Comprehensive Review of Opioid-Induced Hyperalgesia.” Pain Physician Journal (2011): n. pag. Print. Dean was a 41-year-old, married executive when he was involved in a motor vehicle accident where his car was totally wrecked. X-rays revealed no fractures. Over the next five years he experienced progressively increasing aching and tightness in his low back which sometimes radiated into his buttocks and down into both legs to the soles of his feet. He also reported pain in his neck and shoulders, which was made worse by bending over. Therapeutic exercises, medications, psychotherapy, epidural steroids and nerve blocks were given without success. Radiofrequency lesioning of nerves innervating the facet joints in his cervical and lumbar spines provided six months of minor relief. His pain became unbearable and he attempted suicide twice. When he consulted me five years after the accident, he was no longer working and rarely left his house. Physical examination revealed 16 muscles that appeared to be a source of pain. He lived out of state so his treatment was not continuous. Over the course of 4 months, he received muscle-tendon injections to each muscle identified followed by 3 days of a physical therapy protocol after each injection which included teaching Dean an exercise program that had been given at the YMCA . No muscle was re-injected. His pain was eliminated. Four years later, he continues to contact us to let us know he is still pain free and working as a corporate executive. 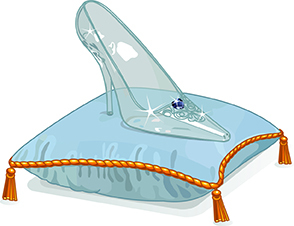 The Cinderella Hypothesis postulates that damage to the muscles can occur when the muscle fibers which are activated first are also the last to deactivate. Like Cinderella, they are always working, and not given adequate amounts of time to recover. These damaged muscle fibers can be a source of pain. Low intensity, continuous activation of the fibers can be initiated consciously, for example while typing, or subconsciously, due to tension. Some studies have found that damage to the muscles can occur in as little as 30 minutes during continuous typing. Though continuous activation without release does not happen for all patients during low intensity, sustained activity, the Cinderella Hypothesis presents a compelling case for taking breaks throughout the work day to participate in some brief stretching, which may help relax and lengthen the muscles. Oliver is an 84-year-old publisher who came to see me for pain in the middle of his low back, which sometimes radiated to his right hip and down his right thigh. He described this pain as an intermittent aching, stabbing, shooting sensation, made worse by sitting for more than 30 minutes, standing for more than 15 minutes, and walking. His pain made it difficult for him to stand erect. Though his pain began 8 years before he came to see me, it was exacerbated by an automobile accident 5 years prior to treatment. He had been to a physical therapist and a neurologist, and was diagnosed with postpolio syndrome. Imaging studies revealed severe degenerative changes throughout the lumbar spine. His physical examination revealed that although he had adequate strength in his trunk and no trigger points, his hamstrings were very tight and he had atrophied muscles in his lower extremities. I suggested that he learn the exercises that were created at the Columbia University School of Medicine in the early 1960s by my mentor Hans Kraus. These exercises were later given at the YMCA to over 300,000 people with an 80% success rate in diminishing or eliminating low back pain. The exercises are created to produce relaxation, limbering, stretching and strengthening of key postural muscles. Oliver also began to gradually increase the amount of walking he did each day until he reached 2-3 miles. By addressing the deconditioned muscles in his legs, buttocks and low back, Oliver was able to find relief for the discomfort in his low back, and stand erect. Even with a diagnosis of Post-polio syndrome and imaging studies showing degenerative changes in his spine, Oliver found relief when the soft tissue component of his pain was addressed. 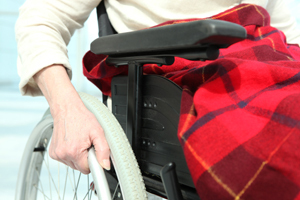 Anna is a 40 year old married woman, who had been on bed rest for approximately 3 years because of her pain. After a spinal fusion, discectomy, facet blocks and physical therapy, she was still having severe pain in her low back. Another surgery was suggested. When I examined Anna, I identified and treated 5 muscles in her low back and buttocks (lumbar paraspinals and piriformis on both sides and the left gluteus medius). Each muscle was treated with an injection technique that addresses the muscle attachments and tissue and followed with a 3 day physical therapy protocol. She was taught an exercise program, developed at the Columbia University School of Medicine in 1960 and given to 300,000 participants at the YMCA, to help keep her muscles relaxed, limber and strong. With significant relief in her pain, she traveled to Asia a few months following treatment, began working part-time, and now 5 years later still reports being able to enjoy her life again. Failed Back Surgery Syndrome is often thought to be amenable only to palliative interventions such as Spinal Cord Stimulation or chronic administration of opioids. Anna had muscle related pain that had not been considered as a possible cause of her ongoing post-operative pain. We will be posting other patient histories where persistent pain was caused by overlooked painful muscles. Donna, a 43 year old married mother with a one year old son saw me for evaluation of severe low back and buttock pain. Her MRIs showed a disc herniation at L4-5 and moderate-to-severe spinal stenosis at the same level. She received physical therapy, 3 epidural steroids and chiropractic treatments with transient or no pain relief. Her orthopedic surgeon told her that since all conservative measures were already done the only option was spine surgery. He felt a fusion should be done. My soft tissue examination identified 3 areas in her low back (the Quadratus Lumborum on both sides, and the right Gluteus Maximus) as possible sources of her pain. Each was treated with an injection technique that emphasizes placement of the needle into the muscle’s tendinous and bony attachments and the tissue along the course of the muscle from the origin to the insertion. A 3 day post-injection physical therapy protocol followed each injection session. Donna was taught all 21 exercises in my low back exercise program and experienced complete relief in less than a month after starting treatment. She returned to the gym, ran a half marathon and on follow up 5 years after treatment, was still pain free, hiking, biking, and running. I believe that patients like Donna who receive spine surgery will frequently be found as Failed Back Surgery Syndrome cases. Imaging findings often do not provide an accurate explanation for your pain. Addressing the imaging diagnosis without an examination to identify possible specific sources of muscle pain may lead to treatments that are at best inadequate and at worst damaging. James was a 67-year-old, married entrepreneur with bilateral thigh and calf pain that prevented him from walking for more than one block on a flat surface or sitting for more than 30 minutes. He couldn’t leave his house for a walk and was unable to sit in a restaurant. His pain was 7/10. I evaluated him after he had undergone 2 lumbar spine fusions, epidural steroid and trigger point injections, all without pain relief. His history revealed that after a fall he developed lower back and leg pain. An MRI found spinal stenosis and degenerative spondylolisthesis. He had a spinal fusion, which provided 2 months of relief before all of his symptoms returned. He tried trigger point injections and epidural steroids, and then a second spinal fusion – all of which provided no lasting relief. When James came to see me, he was offered an indwelling morphine pump or a spinal cord stimulator. His primary complaint was a constant burning and pulling sensation in his thighs, and a pain that shot down the back of his leg to his heels. On examination, I discovered James was deconditioned: he had decreased range of motion in his back and hips due to stiffness, and showed weakness in his abdominals and back extensor muscles. James’ physical examination also revealed 4 muscles that were likely contributing to his pain: the right and left gluteus maximus, the tensor fasciae latae, and the vastus lateralis. He received muscle-tendon injections to each muscle, and following each procedure, 3 days of a structured physical therapy protocol. Soon after receiving all injections and learning all 21 exercises, he was walking easily on the street, eating in restaurants, and was able to travel to Vietnam and China with his wife. His imaging findings of stenosis and spondylolisthesis existed before his fall and did not produce symptoms. He only had back and leg pain after his fall. It would have made sense to consider that soft tissue injury was a reasonable possible source of his pain prior to embarking on costly, interventions with considerable downside risks. I am suggesting that a step care model would have been a better option for James and for all of our patients with back pain (simple and cheap before complicated and expensive). Over 90% of spine MRIs are interpreted as abnormal. Nearly all individuals experience degenerative changes in the spine as they age, with nearly 20% of the population exhibiting disc herniations without any symptoms or pain by the age of 50(1). This means that even though your X-ray or MRI shows an abnormality, it doesn’t mean that this is what is causing your pain. 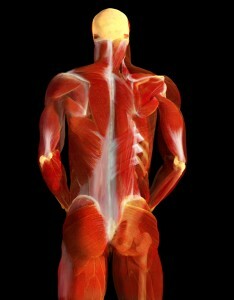 Though imaging studies can be valuable tools, they are not equipped to show the nuances of the muscles and soft tissue. In 2001, a study(2) of more than twenty thousand patients at outpatient medical clinics in the United States found that sprains and strains of muscles and other soft tissue accounted for 70-80% of all back pain. Since muscles play such a large role in pain, and imaging studies cannot give us enough information about the state of the muscles, a thorough physical examination is necessary to evaluate the soft tissue as a source of pain. Even if you are diagnosed with a separate condition, like spinal stenosis or fibromyalgia, if soft tissue has not been examined not only for tenderness or spasm but in addition as a source of pain, it is possible that muscles are contributing to your pain. Over the next few blogs, I will talk about different patients who came to me with a variety of diagnoses that were thought to be the cause of their pain, who were able to reduce or eliminate their pain by treating their muscles. 1 Zimmerman, Robert D. “A Review of Utilization of Diagnostic Imaging in the Evaluation of Patients with Back Pain: The When and What of Back Pain Imaging.” Journal of Back and Musculoskeletal Rehabilitation 8 (1997): 125-33. Print. Impairment is the clinical term for a loss of function due to pain or injury. Being unable to lift more than 10 lbs because of low back pain is an example of impairment. Disability is closely related to impairment, but is distinct because it involves choice. Though your impairment may not allow you to lift heavy objects you may still able to sit at a desk. You can take on a job in which lifting isn’t necessary. In this view, though you are impaired, you are not disabled for a desk job. I once met a young woman who was employed as a secretary working the switchboard at a rehabilitation center. She was quadriplegic (paralyzed in her arms and legs), and operated the switchboard and her wheelchair by blowing through a tube. She had help in the morning getting ready to go to work and during the day for meals and personal needs. She worked 9-5, 5 days a week. Though this young woman was 100% impaired, and could have easily made the choice to be permanently and totally disabled, she chose to work. She was fortunate to be able to have a job that would accommodate her impairment. Even if that is not possible, her story highlights the fact that impairment does not have to equate to disability. Though you may be impaired, you can still participate in your life in many different capacities– whether that be through employment, engaging with loved ones, taking up a hobby, or other activities that bring fulfillment. Pain Relief – Is it Enough? For people suffering chronic pain, pain intensity is not the only factor that should be considered when treating the patient. Many assume that once the pain is reduced, the patient will go back to living their normal life. However, this is often not the case. Many chronic pain patients have decreased muscle flexibility and strength, and in addition psychological problems (Schofferman, 2006). Therefore, multi-disciplinary rehabilitation may be an important part of their treatment. Successful treatment may be reflected as much by improvement in function as in reduction in pain intensity. 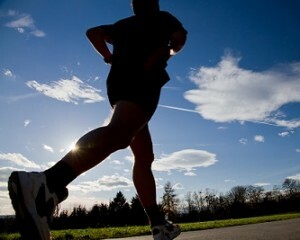 The capacity for increased activity allows a pain patient to do things otherwise prevented by pain. A patient who was unable to work due to his severe low back pain could after treatment, despite persistent pain, sit, stand, and walk for longer periods of time. He returned to work to a desk job. Despite residual pain the treatment was still considered successful by the patient because he was able to return to work. I have a friend who has been complaining of weakness in his legs. He has a history of high cholesterol and has been on statins. He was seen by a spine surgeon and after an MRI showed spinal stenosis, decompressive surgery was suggested. His internist recommended stopping the statin since it can cause leg pain and weakness. Two weeks after the statin was stopped his weakness went away. Overreliance on imaging studies could result in unnecessary surgeries as in this case. As many as 90% of adult patients who have had MRIs of the lumbosacral spine have spinal “abnormalities”. Just because we find something on imaging doesn’t mean it is the cause of the pain. Many chronic pain patients report frustration with the attitudes they face from friends, family, and health care practitioners. Most often, patients report feeling stigmatized for experiencing pain that doesn’t have a readily identifiable cause. Pain can have a variety of causes, and there is currently no set standard for diagnosing and treating chronic pain. This lack of standard creates a confusing and frustrating experience for the patient, and a puzzling case for physicians. 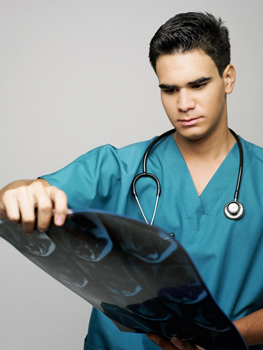 For some, a lack of known etiology causes the patient to place blame on themselves, when in fact, the lack of knowledge is a result of the limits of medical knowledge (http://bit.ly/HFXzhm). Blaming oneself can have destructive consequences, including avoiding getting necessary professional help and actively participating in rehabilitation(http://bit.ly/17Supp1). A strong social support base can reduce feelings of stigmatization and improve coping (http://bit.ly/10chj3G). Support groups for pain patients can be effective in developing coping skills for depressive symptoms that are frequently experienced in patients living with pain, and boosting self-appraised problem-solving confidence (http://bit.ly/1bfJIFK). 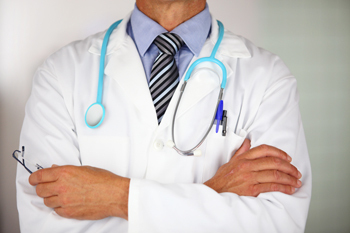 You may have read or heard on the news about the new healthcare laws being put into place. I have met many people who have said that they have no idea what will happen, so I thought I would provide some information. I am not an expert, nor am I placing an opinion on it. Any or all of this can change tomorrow, so before making any decisions consult your HR administrator, insurance broker, or whoever handles your health insurance needs. As of January 1, 2014, you will be required to have health insurance. If you do not have health insurance, you will be fined a specific amount (based on your income) every year until you get coverage. The fines increase every year. However, there are exceptions to this rule, including hardship exemptions, for which you can apply. Many plans are changing because they don’t meet the minimum requirements set by the law. This may mean that your policy may change as of January 1, 2014. Even if it doesn’t apply to your needs and desires, the new standards require inclusion of items like prescription drugs, maternity leave, and pediatric dental care. Although pre-existing healthcare conditions will no longer be a reason for denying coverage or charging higher premiums, there are a few exceptions to this rule.